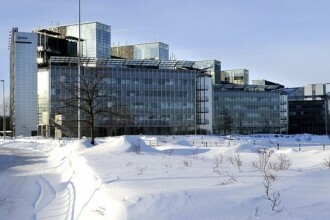 Nokia has decided to exit the real estate business, as chief financial officer Timo Ihamuotila put it, by selling their headquarters in Espoo, Finland. Property investor Exilion Capital Oy purchased the facility for 170 million euros ($222 million) but that doesn’t mean Nokia is moving out. Instead, the company has signed a long-term lease with the new owners meaning they will stay put for the foreseeable future. Nokia’s press release on the matter was short but they did point out that the 48,000 square meter (517,000 square feet) building has been under their operation since 1997. Roughly 1,800 people are currently employed by Nokia at the facility. The deal is expected to be complete by the end of the year. Terms of the new deal were not made public nor is it clear if Nokia owned the building outright or if they were still making payments before the sale. Assuming they owned the building outright, one has to question whether it makes sense to go into debt over the long haul simply for a quick payday up front. The decision will give Nokia some much needed cash to work with as they continue to find solid footing in the ever-evolving mobile landscape. It’s in addition to the handset maker’s announcement earlier this year to slash 10,000 jobs worldwide by the end of 2013. If you’re keeping count, that’s roughly 20 percent of their global workforce. Nokia said this decision will save them around $2 billion by the end of next year.